Ground floor: Living room with flagstone floor. Dining room with wooden floor. Kitchen with slate floor. Beams throughout. Shower room with toilet. First floor: 2 bedrooms: 1 double, 1 twin. Bathroom with shower over bath and toilet. Open fire in living room (initial fuel included). Timed oil central heating (extra charge October - April). Elec and bed linen included. Freeview TV. Aga. Microwave. Washing machine. Fridge/Freezer. Large enclosed garden with sitting-out area and furniture. Natural grounds. Parking (2 cars). Natural water supply from spring. Pet free of charge. No smoking. Holidays at Birkerthwaite Farmhouse run from Saturday to Saturday. For a better idea of where Birkerthwaite Farmhouse is, you can see Birkerthwaite Farmhouse on the map below. 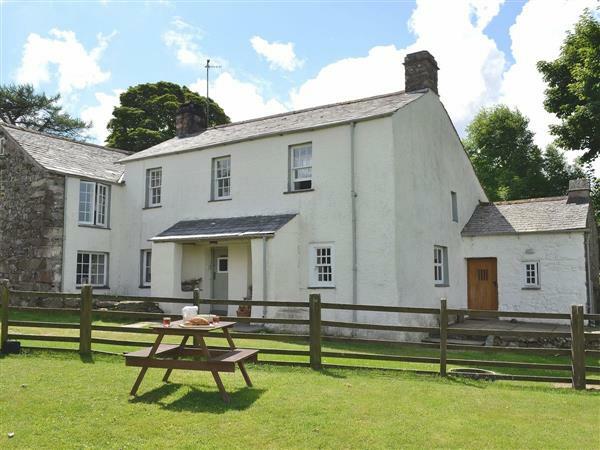 Birkerthwaite Farmhouse is in Cumbria; should you be on the lookout for a special offer, you can find all the special offers in Cumbria. It's always worth checking to see what is on offer at the moment. Do you want to holiday near Birkerthwaite Farmhouse (W43001), you can see other cottages within 25 miles of Birkerthwaite Farmhouse; have a look to find your perfect holiday location.